Can you believe there’s only a matter of days left in 2015? Soon enough we’ll be popping open the champagne, lighting the sparklers and ringing in another new year. After the lethargy of the Christmas break, when onesies and comfy jumpers are the attire of choice, it’s no surprise that we all embrace New Years Eve as an opportunity to get glammed up once again. Traditionally glitter is top of the billing when it comes to our makeup looks, but often a touch of sparkle can be intimidating and not exactly age inclusive – but there are ways to create a sparkly look without feeling like a Bratz doll. Serious glittery makeup is often perceived to be high fashion and completely unwearable by those of us living in the real world, but this Christmas Britain’s favourite department store, House of Fraser, has created a series of short tutorials that prove you really *can* embrace your inner glitter vixen this forthcoming party season. 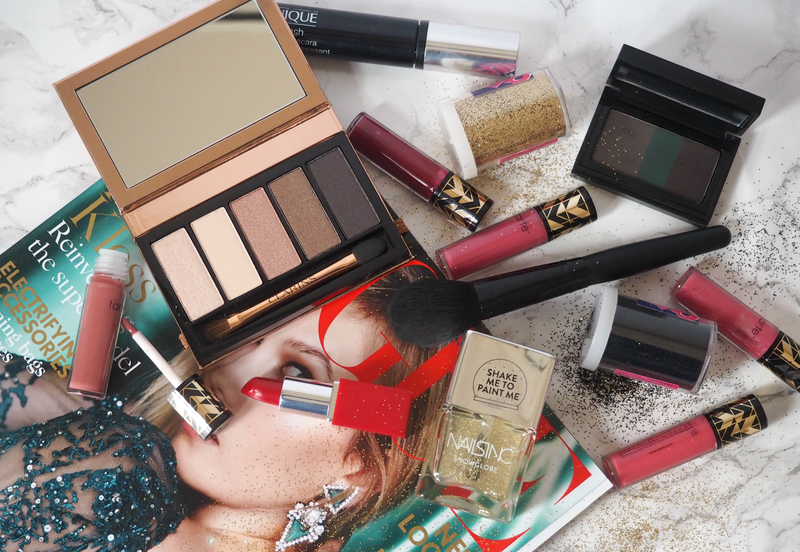 From powerful 3D glitter eyes that take only a few minutes to create, to wearable red glitter lips and subtle glittery nail tips, there’s something for everyone – proving that it really is Your Christmas, Your Rules. I adore this look. It looks awesome, completely on-trend and totally high-fashion – but it takes less than five minutes to create. Just line the eye, buff in some eyeshadow and apply glitter over the top to create effortless texture. My top tip is to use a touch of Vaseline to secure the glitter in place all night long! You may have seen these glitter lips appearing all over the pages of magazines these last few months, but when created in the style below they’re much more wearable than you may think. Just make sure you take a little pot to top up while you’re partying – and be prepared for glittery lipstick marks on your champagne glass! If you’re not quite ready for full on glittery eyes or lips, then adding a touch of sparkle to your nails is the next best thing. This subtle nail look is wearable 365 too, meaning once you perfect the art you can get use out of your skills well into the new season. If you don’t fancy the layers, then just brush on glittery polish to the tips of nails and blend with a transparent varnish for an ‘ombre’ look. So there you have it – three genuinely wearable glitter looks that everyone can embrace this December 31st. Which is your favourite? Will you be trying any of these mini masterclasses on New Years Eve? Check out the House of Fraser website for more inspiration ahead of your NYE parties, plus shop the looks! This is a sponsored post on behalf of House of Fraser. All opinions are my own. They really have, haven't they! I loved the stuff they've done I included three things, rather than just picking one to write a feature around. A great campaign from them this year.